Vote today and everyday this month to help your favorite blogger win the April Thumbs Up challenge. Old furniture is one of the best—and cheapest—materials to get your hands dirty in the DIY world. Whether it’s a modern spin on an old classic, a quick paint upgrade that makes a huge impact, or a charming (or quirky!) addition to a builder-basic piece, the opportunities for personalizing found furniture are endless. Which is why we’ve decided to showcase some of the best furniture makeovers around for this month’s Bob Vila Thumbs Up competition. 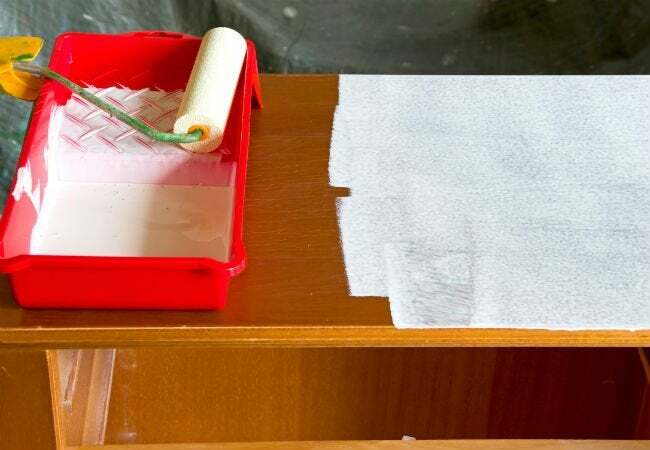 Bob Vila Thumbs Up recognizes some of the very best DIY projects around the web, and this month we’re shining the spotlight on great furniture makeovers. Each of these bloggers wins points in our book for creativity but only one can win the Bob Vila Thumbs Up competition and the $250 gift card. So cast your vote today and every day through April 30 to help your favorite furniture makeover become this month’s Bob Vila Thumbs Up winner. After all, only you and your vote can determine the outcome of this competition. Congrats to last month’s winning blogger, The House of Wood. Read more about the winning Bob Vila Thumbs Up project here.